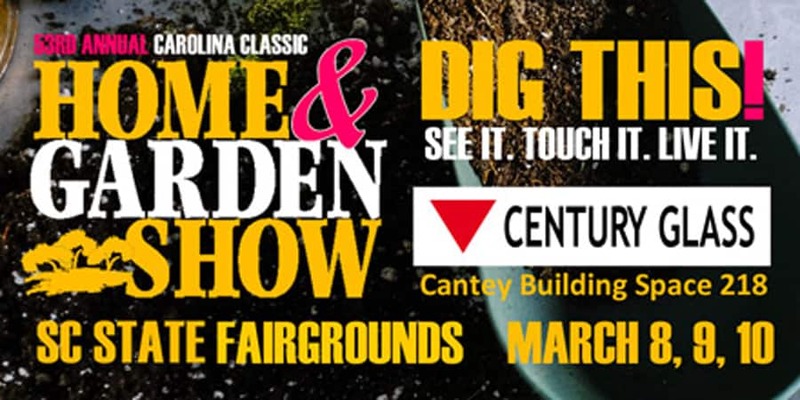 The BIA of Central SC will present the 53rd annual Carolina Classic Home & Garden Show March 8, 9, 10, 2019 at the SC State Fairgrounds in Columbia, SC. This is the biggest and only locally-produced home show in the Midlands. All proceeds stay in Columbia and help the association work to keep housing affordable and the local building industry healthy and prosperous. Century Glass is a proud and active member of the BIA, come and see our booth in the Cantey Building Space 218. Click here to answer a few simple questions and get free tickets to be our guest! Parking is $5 dollars. Our Columbia and Charleston showrooms are stocked with beautiful showpieces highlighting the best in framed, frameless and semi-frameless shower doors, sliding shower doors, pro-glide showers, bathroom mirrors, windows and sliding patio doors, and more. If you are in either the Columbia, SC or Charleston, SC area, then stop by our locations to see what kind of shower glass and door solutions we have for your home or business. Century Glass offers expert, custom glass services from our three locations across the state of South Carolina. From Charleston to Columbia we can help you with residential, commercial or auto glass needs, including mirrors, windows, shower doors and windshield replacements. We registered members Auto Glass Safety Council (AGSC), and we are active members the Building Industry Association (BIA) and the Charleston Home Builders Association (HBA). At Century Glass, we promise you quality you can see through.